Don't know why I wasn't following this blog until now! I am constantly checking for recipes! I am making these this weekend! yay! These look so good!! definatly a must try! This recipe looks really good! It would be great if you came over to Cast Party Wednesday tomorrow and shared some of your recipes.Thanks,I hope to see you there! They look YUMMY!!!! Will have to make these for the family. Thanks for sharing!!! Oh wow...those look amazing! Thanks for sharing the recipe! YUM! These look wonderful. Thanks for sharing at this week's BFF link party. Yum, yum, yum! This sounds wonderful! This is a long lost recipe similar to one an old favorite restaurant use to serve. It sounds even better than I remember. Looks absolutely decadent! Can't wait to try it! Thanks for the great recipe! Mmmm...love the combination of chocolate, pecans and marshmallow. It's like the ultimate rocky road brownie! Sent my husband to our couples Bible study with these tonight, everyone loved them! Thanks for sharing! I used to make these all the time when my kids were little. 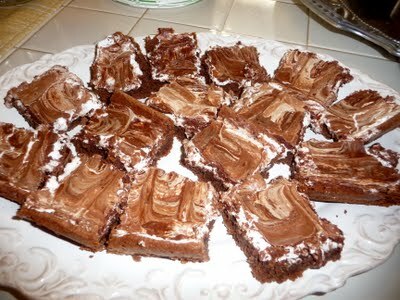 I think I need to make them for my grandchildren...They are rich but oh so good.